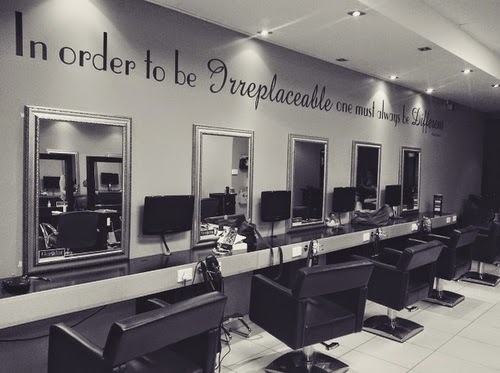 This week I paid a visit to my local hair salon to get my hair cut. I also had a lovely treatment, which is meant to make your hair lovely and nourished and shiny. Usually they also give you a head massage with the treatment, but I was really disappointed that this time, the massage was pretty much non-existent. It’s my favourite part! I didn’t have anything major done to my hair. It just needed a trim to get rid of any split ends, but it still felt lovely and light and bouncy afterwards. I just love the feeling you get after having your hair done. I’ve also booked an appointment to get my colour re-done as it’s starting to look a little less red. 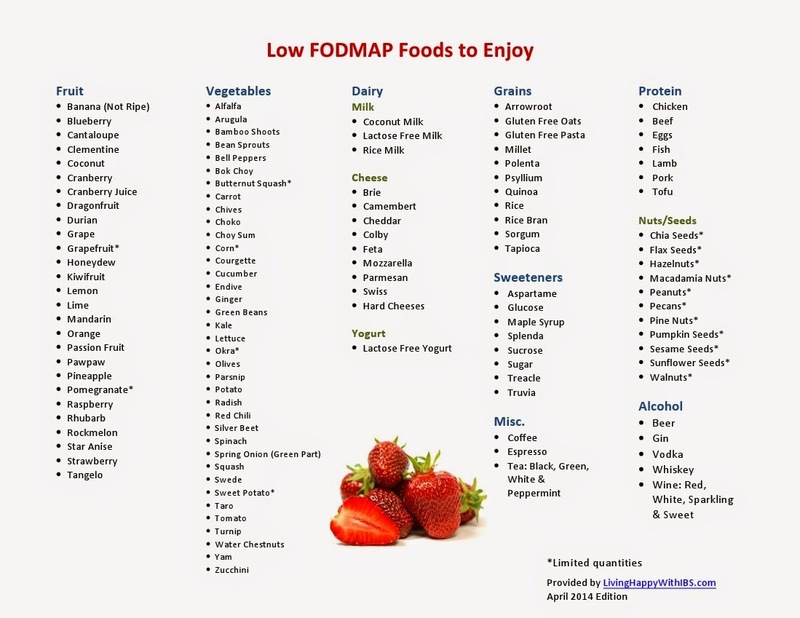 So, this week I started the Low FODMAP Diet. For those of you who haven’t been following me long, you may not have heard of this, fairly new, diet. It’s not for weight loss or anything like that. It’s a medical diet that has shown great results for people with IBS and other similar digestive problems. I don’t have IBS – I saw my gastroenterologist this week and she thinks I have a problem with the nerves in my digestive system so I have delayed emptying or something similar. I’m seeing a specialist up in London in November for further tests and hopefully some answers, but for now I’m giving this diet a try just to see if it will make any difference to my symptoms. It’s pretty restrictive – you have to cut out gluten, wheat, dairy, a lot of different fruits and vegetables, especially onion and garlic. It’s quite a difficult diet to get my head around, especially with the fact that I also struggle with an eating disorder, so I’ve found the last week quite stressful. But I’m slowly building up a book of recipes I can eat, so I’m hoping as the weeks go by it will get slightly easier to find things to eat. I was a bit naughty yesterday and ate some dairy and gluten, and was really unwell in the evening, so it’s obviously got something in it that might help me a bit. Yesterday I had the most wonderful day with a really special group of friends. I put on a vintage tea party to celebrate my birthday and invited a group of friends who I have met through being ill. I like to invite all my ill friends, because I know from experience that, even when you’re unwell, it’s horrible to be left out of things and not invited. 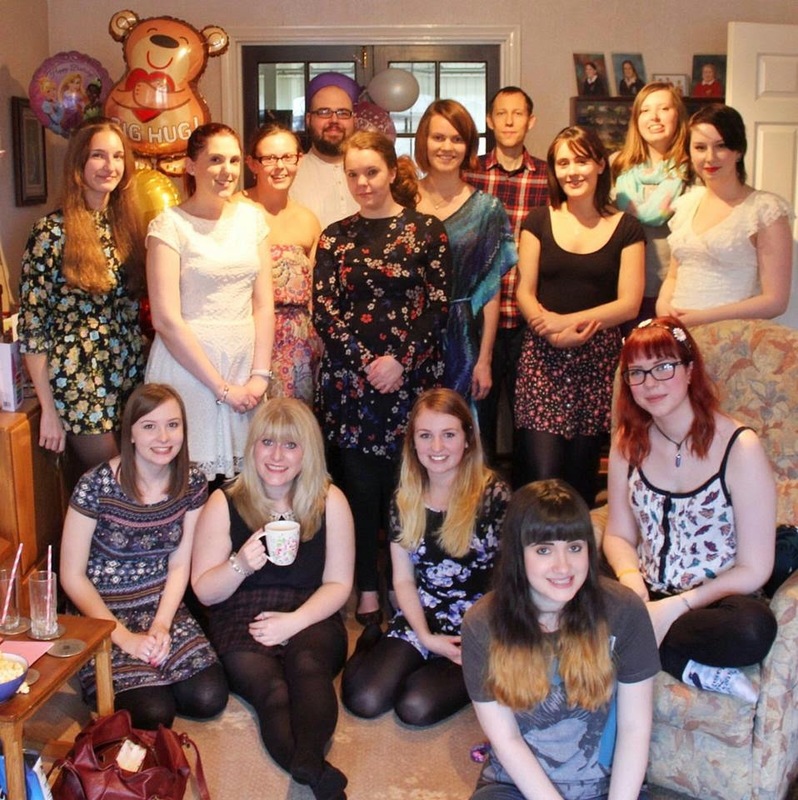 I do this most years and usually there are just a few of us, but this year there were 15 of us, all in my little front room! We enjoyed sandwiches, cakes and scones and loads of chatting in between. I saw some old friends, but also met some new friends that I’ve been talking to online for years. It was amazing to finally meet some of the most special friends I’ve made; to finally see them in person was just perfect! I really overdid it and feel so poorly today, but it was totally worth it to have such a lovely time. The part was fabulous, thank you, Jenny!